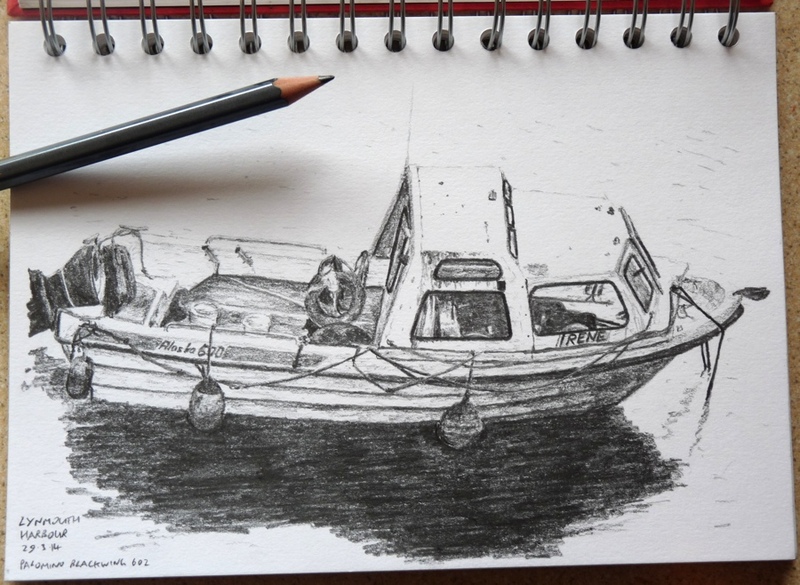 Boat in Lynmouth Harbour (2) – Pens! Paper! Pencils! This is the second of my sketches from Lynmouth Harbour. Lynmouth is a tiny little seaside town on the north Devon coast, with beautiful views along the coast and across the sea to Wales. I drew this picture with a Palomino Blackwing 602. Last week’s sketch was with a Palomino Blackwing. The third and final sketch is next week… I wonder which pencil I’ll be using? Check back on Sunday for a review of the 602. Nice I like your detailing of the interior of the boat. Srvnt, brthr Shirl.